Illumination's The Grinch is the winner at this weekend's box office. The new spin on Dr. Seuss' iconic story has been getting rave reviews from critics, which certainly helped the movie earn $66 million domestically. Overseas, the movie brought in an additional $12.7 million, bringing the grand total to $78.7 million. 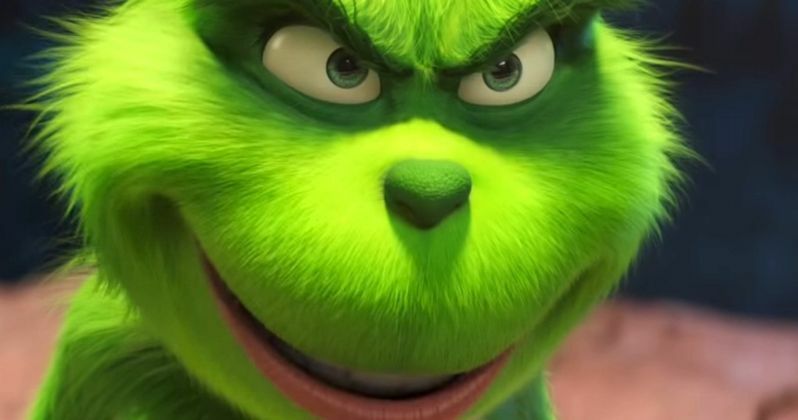 The Grinch features Benedict Cumberbatch as the voice of the titular character, and the animated family movie is expected to earn more as the holidays get closer. The Queen biopic Bohemian Rhapsody has come under fire for historical inaccuracies, but it was still able to bring in an impressive $30.8 million, which easily earned the second spot at this weekend's box office. The biopic only fell a little over 30 percent from last week's number one debut. As for the third spot this weekend, that went to Bad Robot's Overlord. The J.J. Abrams-produced horror movie generated $10.1 million, which has been seen as a disappointment. Overlord made an additional $9.2 million overseas, bringing the grand total to $19.2 million. The Nutcracker and the Four Realms fell to number four this weekend, having earned $9.5 million. The movie debuted last weekend, and hasn't been the box office monster that the studio originally planned for. The Girl in the Spider's Web: A New Dragon Tattoo Story took the number five spot after taking in a little over $8 million. The Claire Foy-starring remake was also a disappointment this weekend, which could have something to do with the California wildfires that are currently scorching areas on the coastline, forcing evacuations and causing deaths. Bradley Cooper's A Star is Born brought in $8 million, which was enough to take number six at this weekend's box office. The remake fell out of the top five for the first time since its release six weeks ago. Tyler Perry's Nobody's Fool fell from number three last weekend to number seven this weekend, having generated $6.5 million. Many expected the movie, which stars Tiffany Haddish and Whoopi Goldberg to have been a bit stronger in its second weekend in theaters, but that was not the case. Sony's Venom fell to number eight this weekend, having earned $4.8 million. However, the movie crossed an important domestic barrier last week when it passed $200 million domestically. Blumhouse's Halloween fell to number nine this weekend, bringing in $3.8 million after coming down nearly 70 percent from last weekend. The Hate You Give earned $2 million, which was enough to take the number ten spot. You can check out the rest of this weekend's box office numbers over at Box Office Mojo. Can The Grinch Steal the Box Office Away from Bohemian Rhapsody?